After completing neurology training at the Royal Brisbane & Women’s Hospital, A/Prof O’Sullivan completed Fellowships in Movement Disorders at the Austin & Repatriation Medical Centre, Melbourne then the National Hospital for Neurology and Neurosurgery, and Middlesex Hospital in London, UK. He was awarded a doctorate in Medicine from Melbourne University in 2000 for studies into surgery for Parkinson’s disease. He returned to Royal Brisbane & Women's Hospital (RBWH) and set up the Movement Disorders Clinical Service including botulinum toxin and later Friedreich's ataxia clinics, and co-ordinating the Huntington's disease multidisciplinary clinic. Through these clinics he has established collaborations with local, interstate and international researchers in the fields of Parkinson's disease, movement disorders and neurodegenerative diseases. He is currently Associate Professor of Medicine and Principal Research Fellow at UQ Centre for Clinical Research, previously Royal Brisbane and Uniting Care Health Clinical Units in UQ School of Clinical Medicine. He is also Senior Research Fellow at Wesley Medical Research. 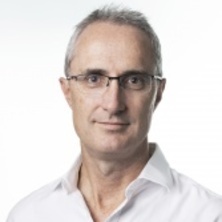 A/Prof O'Sullivan is on the Board of the Clem Jones Centre for Ageing Dementia Research and is currently President of the Movement Disorders Society of Australia and New Zealand (MDSANZ), having previously served as Chair of the MDSANZ Clinical Trials and Research Group. In collaboration with Prof Sandy Brauer, Dr Robyn Lamont, Prof Jeff Coombes and Wesley Medical Research, studies exploring maintenance of exercise, gait and boxing in Parkinson's disease. Research involves novel compounds and repurposed drugs for treatment and disease-modification in Parkinson's and motor neurone diseases in collaboration with Dr Richard Gordon, A/Prof Trent Woodruff, A/Prof Rob Henderson, Prof Pam McCombe and Wesley Medical Research. A/Prof O’Sullivan’s novel investigator-initiated clinical trial in Parkinson’s disease (PD) (Mov Dis 2007; 22:1543-9) is cited in the American Academy of Neurology Practice Parameters and MDS Evidence Based Medicine Review of Management of Non-motor symptoms in PD. The initial description of syndrome of Dopamine Dysregulation in PD (JNNP 2000; 68:423-428) complicating dopamine replacement therapy in some patients with Parkinson’s disease has led to widespread recognition of the syndrome, and this paper has had more than 360 citations. The Movement Disorders Society revision of the Unified Parkinson’s Disease Rating Scale (MDS–UPDRS) includes a section to address features of the dopamine dysregulation syndrome as a result of this. This research has also contributed to debate about addiction in general (Addiction. 2012;107(2):253). How well do caregivers detect depression and anxiety in patients with Parkinson disease? Compulsive use of dopamine replacement therapy: a model for stimulant drug addiction? Hayes, Michael W., Fung, Victor S., Kimber, Thomas E. and O'Sullivan, John D. (2010) Current concepts in the management of Parkinson disease. Medical Journal of Australia, 192 3: 144-149. Do Polymorphisms in the Familial Parkinsonism Genes Contribute to Risk for Sporadic Parkinson's Disease? O'Maley, Karen, O'Sullivan, John, Wollin, Judy, Barras, Michael and Brammer, Jillian (2005) Teaching people with Parkinson's disease about their medication. Nursing older people, 17 1: . Wick, W, Hochberg, F, O'Sullivan, J, Goessling, A, Hughes, A and Cher, L (2000) L-dopa-resistant parkinsonism syndrome following cerebral radiation therapy for neoplasm. Oncology Reports, 7 6: 1367-1370. O'Sullivan, J. and Lees, A. (1999) Oral dopamine agonists adverse drug reaction profile. Prescribers' Journal, 39 3: 166-172. O'Sullivan, JD, Lees, AJ and Hughes, AJ (1999) Yawning in Parkinson's disease. Neurology, 52 2: 428-428. Yang, J. H., McMahon, K . L., Copland, D. A., Byrne, G. J., Toft, A. J. H., Mitchell, L. K., O'Sullivan, J. D. and Dissanayaka, N. N. W. (2017). Altered attention brain network in Parkinson’s disease with mild cognitive impairment. In: International Congress of Parkinson's Disease and Movement Disorders, Vancouver, BC, Canada, (). 4-8 June 2017. Dissanayaka, N., Pachana, N., O’Sullivan, J., Marsh, R., Silburn, P., White, E., Torbey, E., Pye, D., Mitchell, L., Mellick, G., Copland, D. and Byrne, G. (2017). Improving diagnosis and treatment of anxiety in Parkinson’s disease: IDATA-PD study. In: International Congress of Parkinson's Disease and Movement Disorders, Vancouver, BC, Canada, (). 4-8 June 2017. Toft, A., Yang, J., Byrne, G., O’Sullivan, J., Mitchell, L., Copland, D. and Dissanayaka, N. (2017). Investigating the Association between Anxiety and Cognitive Impairment in Parkinson’s Disease: A Descriptive Study. In: International Congress of Parkinson's Disease and Movement Disorders, Vancouver, BC, Canada, (). 4-8 June 2017. Yang, J. H., McMahon, K. L., Copland, D. A., Byrne, G. J., Toft, A. J. H., Mitchell, L. K., O'Sullivan, J. D. and Dissanayaka, N. N. W. (2017). Understanding neural activation in semantic fluency in Parkinson’s disease with mild cognitive impairment. In: International Congress of Parkinson's Disease and Movement Disorders, Vancouver, BC, Canada, (). June 4-8, 2017. Lehn, A. C., Airey, C. A., O'Sullivan, J. and Boyle, R. (2013). Deep brain stimulation for DYT3 dystonia: A case report. In: , , (S9-S10). .
O'Sullivan, John and Dissanayaka, Nadeeka (2013). Clinical implications of impulse control disorders in Parkinson's disease. In: APSAD 2013: Australasian Professional Society on Alcohol and other Drugs Conference, Brisbane, Australia, (7-7). 24-27 November 2013. Dissanayaka, N., Mellick, G., O’Sullivan, J. and Silburn, P. (2012). Depression and anxiety in Parkinson’s disease. In: Parkinson’s Australia National Conference, Brisbane, Australia, (). 13-14 July 2012. Carter, A., Dissanayaka, N., O’Sullivan, J. and Hall, W. (2012). Drug induced impulse control disorders: a prospectus for neuroethical analysis. In: Parkinson’s Australia National Conference, Brisbane, Australia, (). 13-14 July 2012. Berkovic, S. F., Corbett, M. A., Schwake, M., Bahlo, M., Dibbens, L. M., Lin, M., Gandolfo, L., Vears, D., O'Sullivan, J., Robertson, T., Bayly, M. A., Gardner, A. E., Vlaar, A. M., Korenke, G. C., Bloem, B. R., de Coo, I. F., Verhagen, J. M. A, Lehesjoki, A. E., Saftig, P. and Gecz, J. (2011). A New Form of Progressive Myoclonus Epilepsy with Early Ataxia and Scoliosis Due to Mutation in the Golgi Protein Gosr2. In: Epilepsia. 29th International Epilepsy Congress, Rome Italy, (94-95). Aug 28-Sep 01, 2011. Dissanayaka, N., O’Sullivan, J., Silburn, P. and Mellick, G. (2010). Factors associated with freezing of gait in Parkinson’s disease. In: 19th Annual RBWH Health Care Symposium, Brisbane, Australia, (). 11-15 October 2010. Dissanayaka, N. N., O’Sullivan, J. D., Silburn, P. A. and Mellick, G. D. (2010). Risk factors for depression in Parkinson’s disease. In: 7th International Congress on Mental Dysfunctions and Other Non-motor Features in Parkinson’s Disease and Related Disorders, Barcelona, Spain, (). 9-12 December 2010. Dissanayaka, N. N. W., Sellbach, A., Matheson, S., Marsh, R., Silburn, P. A., O'Sullivan, J. D., Byrne, G. J. and Mellick, G. D. (2009). Assessing depression in Parkinson’s disease. In: 5th National Conference on Depression in Elderly., Sydney, Australia, (). 2009. Dissanayaka, N. N., Sellbach, A., Matheson, S., Marsh, R., Silburn, P. A., O'Sullivan, J. D., Byrne, G. J. and Mellick, G. D. (2009). Risk factors for depression in Parkinson’s disease. In: Combined Abstracts of 2009 Australian Psychology Conferences. 1st Joint Conference of the APS Psychology and Ageing Interest Group, and the Royal Australian and New Zealand College of Psychiatrists Faculty of Psychiatry of Old Age, Gold Coast, Australia, (193-194). 12-14 November 2009. Dissanayaka, N., Sellbach, A., Matheson, S., O'Sullivan, J., Silburn, P. A., Marsh, R., Byrne, G. and Mellick, G. (2009). Risk factors for depression in Parkinson’s disease. In: 18th Annual RBWH Health Care Symposium, Brisbane, Australia, (). October 2009. What contributes to depression in Parkinson’s disease? Dissanayaka, N. N. W., Silburn, P. A., O’Sullivan, J. D. and Mellick, J. D. (2009). What contributes to depression in Parkinson’s disease?. In: Australian Society for Medical Research Queensland Postgraduate Student Conference, Brisbane, Australia, (). 26 May 2009. Dissanayaka, N., Silburn, P., O’Sullivan, J. and Mellick, G. (2008). Is depression in Parkinson’s disease ‘organic’ or ‘reactive’. In: Australian Society for Medical Research Queensland Postgraduate Student Conference, Brisbane, Australia, (). 29 May 2008. Dissanayaka, N., O’Sullivan, J., Silburn, P. and Mellick, G. (2008). Risk factors for depression in Parkinson’s disease. In: 6th International Congress on Mental Dysfunctions and Other Non-motor Features in Parkinson’s Disease, Dresden, Germany, (). 16-19 October 2008. A candidate gene study of the serotonin and dopamine transporter genes in relation to depression in Parkinson's disease. Dissanayaka, N., Silburn, P., O’Sullivan, J. and Mellick, G. (2007). A candidate gene study of the serotonin and dopamine transporter genes in relation to depression in Parkinson's disease.. In: 2007 Eskitis Institute Graduate Student Symposium, Brisbane, Australia, (). October, 2007. Dissanayaka, N., Silburn, P., O’Sullivan, J. and Mellick G. (2007). A candidate gene study of the serotonin and dopamine transporter genes in relation to depression in Parkinson’s disease. In: 6th Australian Human Gene Mapping Conference, Brisbane, Australia, (668-668). 29-31 August 2007. Dissanayaka, N., Silburn, P., O’Sullivan, J. and Mellick, G. (2007). Genetic and non-genetic determinants of depression in the setting of Parkinson's disease. In: ASMR Queensland Postgraduate Medical Research Student Conference, Brisbane, QLD, Australia, (). 23 May, 2007. What contributes to depression in the setting of Parkinson's disease? Dissanayaka, N., Sellbach, A., Matheson, S., Marsh, R., Silburn, P., O’Sullivan, J., Byrne, G. and Mellick, G. (2007). What contributes to depression in the setting of Parkinson's disease?. In: 4th National Conference on Depression in the Elderly, Sydney, NSW, Australia, (). 28-29 June, 2007. Dissanayaka, N., Selbach, A., Matheson, S., Marsh, R., Silburn, P. A., O'Sullivan, J. D., Byrne, G. J. and Mellick, G. D. (2006). Assessing risk factors for depression in Parkinson’s disease. In: Abstracts and proceedings from the 5th National Conference for Emerging Researchers in Ageing. 5th National Conference of Emerging Researchers in Aging, Sydney, Australia, (-64). 2006. Dissanayaka, N., Sellbach, A., Matheson, S., Marsh, R., Silburn, P., O’Sullivan, J., Byrne, G. and Mellick, G. (2006). Assessing the risk factors for depression in Parkinson's disease. In: ASMR Queensland Postgraduate Medical Research Student Conference, Brisbane, QLD, Australia, (). 26 May, 2006. Dissanayaka, N., Sellbach, A., Matheson, S., Marsh, R., Silburn, P., O’Sullivan, J., Byrne, G. and Mellick, G. (2006). Regular exposure to pesticides is related to depression associated with Parkinson's disease: evidence from two independent Australian samples. In: 2006 Eskitis Institute Graduate Student Symposium, Brisbane, QLD, Australia, (). November, 2006. Dissanayaka, N., Sellbach, A., Matheson, S., Marsh, R., Silburn, P., O’Sullivan, J., Byrne, G. and Mellick, G. (2006). Validity of three depression rating scales in Australian Parkinson's disease patients. In: 2006 Eskitis Institute Graduate Student Symposium, Brisbane, QLD, Australia, (). November, 2006. Pandian, J, Wong, A, Lincoln, D, Davis, J, Henderson, R, O'Sullivan, J and Read, S (2005). Circadian blood pressure variation after acute stroke. In: Journal of the Neurological Sciences. 18th World Congress of Neurology, Sydney Australia, (S428-S428). Nov 05-11, 2005. Schoffer, KL and O'Sullivan, JD (2005). Development of a patient knowledge questionnaire for botulinum toxin use in movement disorders. In: Journal of the Neurological Sciences. 18th World Congress of Neurology, Sydney Australia, (S328-S329). Nov 05-11, 2005. Dissanayaka, N. N. W., Sellbach, A., O’Sullivan, J. D., Silburn, P. A. and Mellick, G. D. (2005). Impact of depression on quality of life in people with Parkinson’s disease. In: Proceedings of the 4th National Conference of Emerging Researchers in Aging. 4th National Conference of Emerging Researchers in Aging, Brisbane, (86-89). 2005. Dissanayaka, N. N. W., Deng, Y., Marsh, R., O’Sullivan, J. D., Silburn, P. A., Roberts, M. and Mellick, G. D. (2005). Risk factors and assessment methods for depression associated with Parkinson's disease. In: ASMR Queensland Postgraduate Medical Research Student Conference, Brisbane, QLD, Australia, (). 10 June, 2005. Dissanayaka, N. N. W., Sellbach, A., O’Sullivan, J. D., Silburn, P. A. and Mellick, G. D. (2005). The impact of depression and motor disability on quality of life in patients suffering from Parkinson's disease. In: The University of Queensland School of Medicine Southern Clinical Division Post Graduate Student Conference, Brisbane, QLD, Australia, (). 2005. O'Sullivan, JD, Turner, K, Marks, L and Lees, AJ (2002). Controlled trial of speech therapy and intra-parotid botulinum toxin for the treatment of salivary drooling in Parkinson's disease. In: Movement Disorders. 7th International Congress of Parkinsons Disease and Movement Disorders, Miami Florida, (S94-S95). Nov 10-14, 2002. Katzenschlager, R, Costa, D, Gerschlager, W, O'Sullivan, JD, Lees, AJ and Brown, P (2002). Dopamine transporter imaging with I-123-FP-CIT SPECT demonstrates marked presynaptic nigrostriatal dopaminergic deficit in orthostatic tremor. In: Movement Disorders. 7th International Congress of Parkinsons Disease and Movement Disorders, Miami Florida, (S346-S346). Nov 10-14, 2002. Marks, L., Turner, K., O'Sullivan, J., Deighton, B. and Lees, A. (2001). Drooling in Parkinson's disease: A novel speech and language therapy intervention. In: , , (282-287). .